SMIT B.Tech Admission 2019. 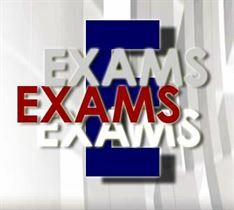 Check out more info on eligibility, application, dates for SMIT B.Tech Entrance Exam 2019. Nirma University B.Tech Admission 2019. Check out more info on eligibility, application, dates for Nirma University B.Tech Admission 2019. CIT Kokrajhar B.Tech Admission 2019 - Central Institute of Technology (CIT) Kokrajhar invites application for the admission to four years B.Tech Program of study as Direct Entry and B.Tech Lateral Entry (admission into the third semester of B.Tech Program) in different branches of engineering for the academic session 2019 through the CIT Degree Entrance Examination (CITDEE 2019) and CIT Lateral Entry Examination CITLET 2019. Thapar University BE B.Tech Admission 2019 - Thapar University Patiala, Punjab invites applications from the interested candidates for admission into BE, B.Tech for the year 2019. 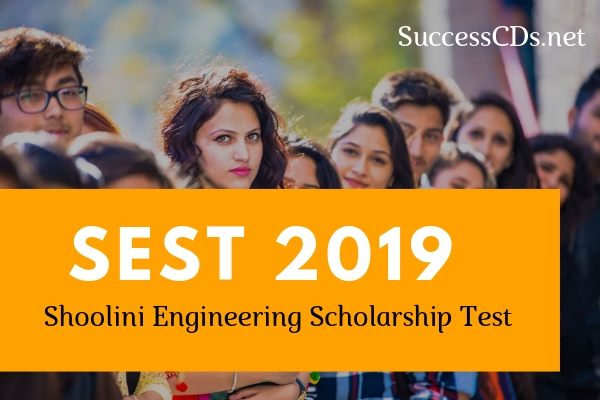 Mahindra Ecole Centrale BTech Admission 2019: Mahindra Ecole Centrale (MEC) Hyderabad invites applications are invited for the full time four-year Engineering Course leading to a BTech Degree Program for the academic year 2019. OUAT 2019 - Orissa University of Agriculture and Technology - Applications are invited online from the eligible candidates for Admission into B.Sc. (Hons.) Agriculture/ B.Sc. (Hons.) Horticulture/ B.V.Sc. and A.H. / B.Tech. (Agril. Engg.) / B.F.Sc. / B.Sc. (Hons.) Forestry & B.Sc. (Hons.) Community Science, for both boys and girls, for the Academic Session, 2019-20 through Common Entrance Examination OUAT 2019. BML Munjal University BTech Admission 2019 - BML Munjal University (BMU), Gurgaon has invited applications for admission to 4 year full time B.Tech Programs for the session 2019. ICFAI University Jharkhand B.Tech Admission 2019 – ICFAI University, Jharkhand invites application for the admission into four-year, eight Semester, full time B.Tech. Program for the academic session 2019. IIST B Tech and Dual Degree Admission 2019 - Indian Institute of Space Science and Technology (IIST), Thiruvananthapuram announces admission to the following undergraduate and dual-degree programs for the academic year 2019-20. Maharashtra Academy of Naval Education Admission 2019 for BTech, BSc - Maharashtra Academy of Naval Education and Training, Pune invites applications from eligible candidates for admission into the B. Tech and B.Sc. Courses at Maharashtra Academy of Naval Education & Training, Pune for the Academic year 2019. IIT Gandhinagar M. Tech Admission 2019- IIT Gandhinagar invites applications to M. Tech. Programs in Biological Engineering, Chemical Engineering, Civil Engineering, Computer Science and Engineering, Earth System Science, Electrical Engineering, Mechanical Engineering and Materials Science & Engineering for the year 2019 . Amrita University Kochi M Tech Admission 2019 - Amrita Vishwa Vidyapeetham, Kochi, Kerala invites applications from candidates for Admission to M.Tech Programmes Offered at Amrita Schools of Engineering - Amritapuri, Bengaluru and Coimbatore for the session 2019. Applications are invited by Tolani Maritime Institute, Pune for admission to full time Bachelor of Technology (B. Tech) in Marine Engineering and Bachelor of Science (B.Sc.) in Nautical Science Program for the session commencing in July 2019. Cochin University of Science and Technology (CUSAT) conducts entrance exam for admission to various academic programmes of the University for the academic year 2019..
Manipal University invites applications for admission to MTech 2019. Get more info on Manipal University MTech Admission Notification 2019, eligibility and imp dates. Indian Maritime University Cochin invites application for PGD in Marine Engineering 2019. Check out more info on IMU Cochin PGD in Marine Engineering 2019. Get more info on Jamia Millia Islamia BTech BArch Admission 2019 through JEE Main. Jamia Millia Islamia invites applications for admission to BTech BArch courses 2019. Delhi Technological University (DTU), Formerly Delhi College of Engineering has invited applications from eligible candidates for admission to M.Tech Program for the academic year 2018. Dhirubhai Ambani Institute of Information and Communication Technology (DAIICT), Gandhinagar invites applications for admission to 4 years Bachelor of Technology (B.Tech) . TERI University M.Tech Admission 2019 - TERI University, New Delhi has invited applications for admission to Master of Technology (M.Tech) Program in Renewable Energy Engineering and Management, Urban Development & Management and Water Science and Governance (multi-track program) for the session 2019-20..
Acharya Nagarjuna University M Tech B Tech Admission 2018 - Archarya Nagarjuna University (ANU), Guntur invites applications from the eligible and interested candidates for twining programs in M.Tech, B.Tech for the commencing year 2018-19. Admission Committee for Professional Courses (ACPC) has released notification for the admission to first year of Master of Engineering/ Technology (M.E. /M. Tech) and Master of Pharmacy (M.Pharm) in Government, Grant-in aid and self-financed institutes in Gujarat State, on state quota of all institutions and management quota surrendered seats of self-financed institutes, Govt. of Gujarat for the academic year 2018-19. CERI CSIR B.Tech Admission 2018 - Applications are invited from the eligible other state candidates for admission to the first year B.Tech Program at CSIR-CERI for the academic year 2018-19 based on valid JEE(Main) 2018 All India Rank. UIET-MDU B Tech Admission 2018 - Maharshi Dayanand University (MDU), Rohtak invites applications for Admission to Bachelor of Technology (B. Tech) Program offered at University Institute of Engineering and Technology (UIET), Maharshi Dayanand University Rohtak. Jadavpur University B.Tech Admission 2018 - Applications in prescribed Form are inviting from the Indian Nationals for admission to1st year of 3-year B.Tech. Course in Instrumentation & Electronics Engineering for the Session 2018-19. Dibrugarh University B Tech Admission 2018 - Dibrugarh University has released notification from the intending eligible candidates for admission into the following programs to be offered by Dibrugarh University Institute of Engineering and Technology (DUIET) for the academic session 2018-19 . IIIT Naya Raipur B Tech Admission 2018 - Dr. Shyama Prasad Mukherjee International Institute of Information Technology, Naya Raipur (IIIT-NR) invites application for admissions to full time four-year B.Tech Program under various branches for the year 2018-19. Indian Maritime University B.Tech Lateral Entry Admission 2018 - It is proposed to fill the seats available for the B Tech (Naval Architecture & Ocean Engineering); B.Sc. (Nautical Science) & B.Tech. (NA & OE) Programs being conducted at Kochi & Visakhapatnam Campuses for Academic Year 2018-19 through Lateral Entry Scheme (admission into 3rd Year &2nd year). IHRD Diploma in Engineering Admission 2018 - IHRD, a government of Kerala Institute, invites application through online from eligible candidates for admission to three Diploma in its eight model Polytechnic Colleges, for the academic year 2018-19. Dr YSP University of Horticulture & Forestry Solan B.Sc. & B Tech Admission 2018- Dr Yashwant Singh Parmar University of Horticulture & Forestry, Solan, (Himachal Pradesh) announces admissions in 4-years (8 semesters) B.Sc. (Hons), Horticulture, B.Sc. (Hons) Forestry and B. Tech Bio-technology Programs for the academic session 2018-19 . TNAU BSc BTech Admission 2018 - Tamil Nadu Agricultural University (TNAU), Coimbatore invites applications for admission to Bachelor of Science (B.Sc. ), Bachelor of Technology (B. Tech) and B.S. Agri-Business Management Programs for the academic year 2018-19. Lala Lajpat Rai University LLRUVAS Hisar B.Tech Dairy Technology Admissions 2018 - Lala Lajpat Rai University of Veterinary and Animal Sciences invite applications from the eligible candidates for admission to Under Graduate Program B.Tech (Dairy Technology) for the academic year 2018-19. Netaji Subhas Institute of Technology BE Admission 2018 -Netaji Subhas Institute of Technology (NSIT), Delhi notifies admission to B.E (Full-Time) Courses for 2018 session . DAIICT B.Tech Admission 2018 - Dhirubhai Ambani Institute of Information and Communication Technology (DAIICT) Gandhinagar (Gujarat) invites applications for Admission into undergraduate engineering program (B.Tech ) – B.Tech (ICT) and B Tech (Honours in ICT with minor in Computational Science) for the academic session 2018-19. WIT Darbhanga Admission 2018 - Women's Institute of Technology (WIT), Darbhanga invites application for admission into B. Tech. & MCA program through WIT Darbhanga Entrance Exam 2018 (CAT) which will be conducted by the L.N. Mithila University, Darbhanga. ACPC Engineering BE, BTech Admission 2018 - Admission Committee for Professional Courses (ACPC) has released notification from the eligible candidates for admission into B.E. and B.Tech Programs for the academic year 2018-19 on State quota seats of Govt., Grant-in aid & Self Finance Engineering Institutes and surrendered seats of Management Quota of Self Finance Engineering Institutes. SASTRA University B Tech & Integrated M Tech Programs 2018 - Sastra University has released the notification from eligible candidates to admission in B.Tech / 5 year Integrated M.Tech Programs for the academic year 2018-19 . ISM Dhanbad MTech Admission 2018- Applications are invited by Indian School of Mines (ISM), Dhanbad for admission to Master of Technology (M.Tech 2-yrs.) Program offered at various departments for the session 2018-19. DAIICT MTech Admission 2018 - Dhirubhai Ambani Institute of Information and Communication Technology (DAIICT), Gandhinagar invites applications for admission to 2 years Master of Technology (M.Tech) in Information and Communication Technology Programs for the academic year 2018-19 . Directorate of Technical Education has released notification from the eligible candidates for admission into Evening (Formerly Part Time) Degree Courses which is offered in selecting Engineering Colleges of the State for students possessing Diploma to acquire Bachelor Degree in Engineering for the academic year 2018. Pandit Deendayal Petroleum University (PDPU), Gandhinagar invites applications from eligible candidates for admission to PDPU B.Tech Course for 2018 session. Department of Technical Education, Haryana invites applications for Online Entrance Test-B.E./B.Tech (LEET)-2018 and Counseling for Admission to 2nd Year (3rd Semester) B.E./B. Tech (LEET) for the Session 2018 in the University Departments, Govt./ Govt. Aided/Private institutions located in State of Haryana. Netaji Subhas Institute of Technology (NSIT), Delhi invites applications for admission to 2 years Master of Technology (M. Tech) Programme offered in Electronics and Communication Engineering (ECE), Computer Engineering (CSE), Instrumentation & Control Engineering (ICE) for the session 2018 . Rajiv Gandhi Institute of Petroleum Technology (RGIPT), Amethi, invites applications from the Indian citizens for the admission in 4-year B. Tech. Programme in the following disciplines for the academic session 2018. Rajiv Gandhi Institute of Petroleum Technology (RGIPT), Amethi invites applications for admission to 2-year full time Master of Technology (M.Tech) Programme in Petroleum Engineering, Chemical Engineering for the session commencing in July 2018 (Academic Session 2018) . Bundelkhand University, Jhansi invites applications for the entrance examination to offer admission to eligible applicants to various UG, PG courses for the academic session 2018 . Asia Pacific Institute of Information Technology - APIIT invites application for admission to 4-year B. Tech Programme through National Admission Test (NAT) for the academic year of 2018. Government of Maharashtra State Common Entrance Test Cell has released the online application for the MHT CET 2018 for admission to Engineering and Pharmacy Under Graduate Courses for the year 2018. SVKMs Narsee Monjee Institute of Management Studies, Mumbai announces admission for 4 year B.Tech and 5 year MBA (Tech) Programmes for the academic year July 2018. University Institute of Engineering & Technology (UIET, Kurukshetra University) invited applications for admission to M.Tech Programmes for the academic session 2018.